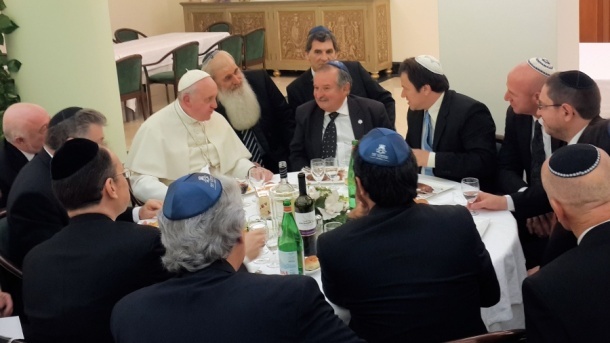 ROME (World Jewish Congress) - A delegation of 15 Argentine Jewish leaders was hosted Thursday for an informal kosher lunch at the Vatican’s Santa Marta guesthouse by Pope Francis. Latin American Jewish Congress Executive Director Claudio Epelman, who organized the meeting together with Argentine Rabbi Abraham Skorka, said it was an “extraordinary gesture by Pope Francis to take more than two hours out of his busy schedule for a conversation with Jewish leaders from his native Argentina.” Epelman said that the conversations with the Catholic pontiff focused on strengthening inter-faith dialogue. The Jewish community of Argentina is the largest in Latin America. 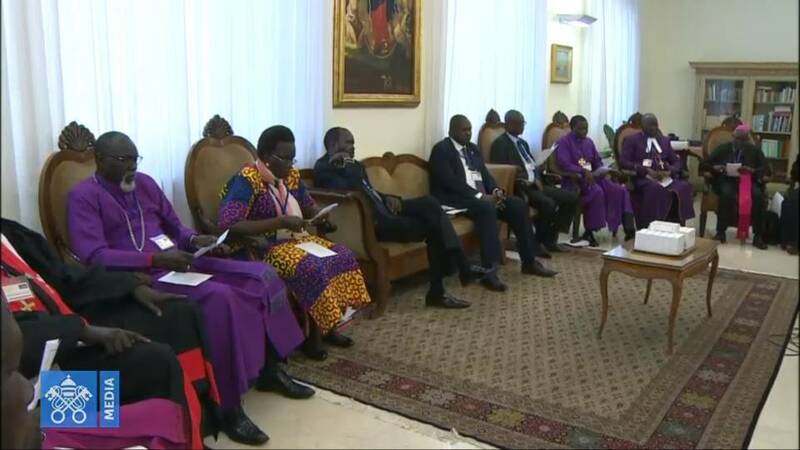 Participating at the meeting on Thursday were, among others, World Jewish Congress Vice-President Julio Schlosser, who is the head of the Argentine Jewish umbrella organization DAIA, Rabbi Skorka, Claudio Epelman, and Cardinal Kurt Koch, the Vatican official in charge of dialogue with the Jews.